Welcome to the Top 10 Apps for the Lake from Lake Fun. Whether you use a smartphone, tablet, Android, or Apple, or other, Lake Fun would like to suggest to you our favorite Apps for your device. So plug up your device to the charger and take a look at what Lake Fun thinks you should have as you get ready to float on the water this summer. 8. Lake Fun Book App. So you cannot get enough of Lake Fun’s signature Lake Fun Book? Me either, I absolutely love the Lake Fun Book and so do my kids. That is why I was so excited for a day on the water when I realized that Lake Fun had published a Lake Fun Book app. I highly suggest this app for anyone who loves the lake. 7. Lake Safety Book. So you want to keep your children safe when you go on the lake. We are exactly the same. My children love to read the Lake Safety Book published by Lake Fun every night of our summer vacation camping trips. Now to have the the Lake Safety Book App has really made our summer bedtimes easier. Take a look at the Lake Safety Book app if you are looking for a free app to help teach your children about safety on the water. 6. Lake Wakeboarding App. So you love to wakeboard just as much as Lake Fun signature athlete Charles Whyte? Well we have just the app for you. Download the Lake Fun Lake Wakeboarding app today and stay in touch with all the latest wakeboarding tips and news. If you like to carve the wake behind your wakeboarding boat then this wakeboarding accessory is for you. 5. Lake Paddleboarding App. So you like to step on your paddleboard and cruise the lakes as much as Lake Fun Signature Athletes Tim Ganly and Vie Binga? We have found the app for you. Get the latest on used wakeboards, wakeboard accessories, wakeboards for sale, and much more for your next Paddleboarding adventure. Whether you SUP for adventure or hit up a weekly paddleboard yoga class this app is the best for you. 4. Lake Levels App. What is more important than knowing what the lake level is for your local lake. Most lake level sites focus on giving you a lake level that has actually happened. Lake Fun has state of the art technology that allows them to predict and forecast lake levels into the future. What if your weather man looked out the window and told you it was raining. That is how other lake sites handle lake levels. 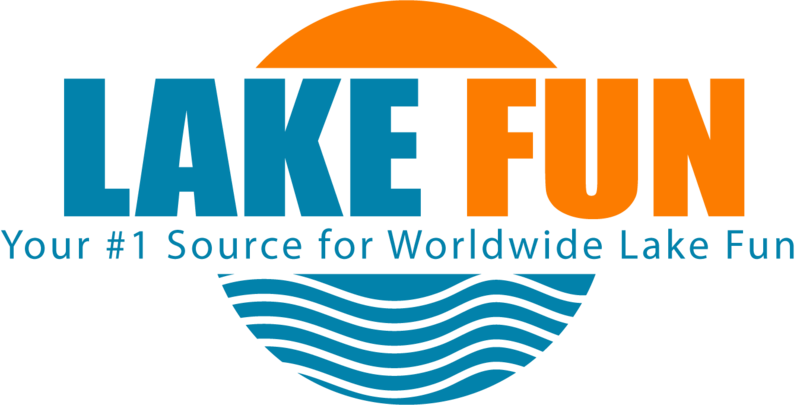 At Lake Fun we look at the lake levels and use solid prediction models and methods to tell you what your lake levels will be. Stick with Lake Fun and the Lake Level App for all the latest updates. 3. Lake Fun Store App. You know you have been putting off the purchase of that new Tube, Water Skis, Wakeboard, Paddleboard, or even just a new Lake Fun Book. Wait no more, the Lake Fun Store App is here to the rescue. Speaking of rescue maybe you could use a new life jacket, safety ring, whistle, or fire extinguisher for your boat. Well, the Lake Fun Store App has that for you as well. For your long summer days on the lake, check out the Lake Fun Store App. 2. Lake Boating App. Nothing is better than a day on the lake and Lake Fun revolutionized the Lake Boating world with the Lake Boating App. If you like to go out on your favorite lake and you want an app that gives you everything you need for fun, then the Lake Boating App is for you. 1. Lake Fun “Tuber” App. Want to find friends on the lake? Check out the Lake Fun ride finder or “Tuber” app as it was named on kickstarter. Lake Fun is always looking for new ways to connect people on the lake and the Tuber app does just that.